MLM companies are all over the place and you would have definitely come across one of their distributors by this now who want you to join their network. Most of the MLM companies deal with products related to beauty, wellness, healthcare, and weight loss. There are very few companies that render services in the multi-level marketing model. Primerica is one such MLM company that comes among the same lot. Primerica mainly provides insurance and other financial services. In this blog, we shall give you a transparent review of Primerica and discuss in detail about the compensation plan that it adopts. So, let us get going! Primerica is a company that is based in the United States and has its headquarters in Duluth, Georgia. It sells insurance and other financial services through multi-level marketing. It aims to give the families a completely protected life, help them become debt free and financially stable and independent. Glenn J Williams is the current CEO of the company. The company claims to provide insurance to the main street families at a price that they can afford. A.L. Williams & Associates, the primitive version of what we know today as Primerica, was founded in 1977 by Arthur L. Williams Jr. The company was quite successful in its days because of the employment of a mass-marketing concept. Their major promotional quote was to buy the term life insurance and invest in the difference. They completely projected an all-new perspective on how one could buy the necessary protection with term life insurance and save enough money by opting for the investment options like mutual fund Individual Retirements Accounts. In the beginning stages of the company, the A.L. Williams was a privately owned insurance firm, who sold the Insurance policies underwritten by Financial Assurance Inc.
Then they entered into a tie-up with the Boston based MILICO (Massachusetts Indemnity and Life Insurance Company) in the year 1980. MILICO was a subsidiary of the Santa Monica based Insurance giant PennCorp Financial Services. The PennCorp was later on merged with the American Can Company in the year 1983. Since then the company became its subsidiary along with the MILICO. In 1986 Triangle Industries acquired American Can’s packaging division and the rights to the company’s name and in 1987 American Can gave a public announcement that it would change its 86-year-old name to Primerica Corporation. With this, Primerica was born. Primerica mainly sells term life insurance, entirely different from the other insurance providers of its size and age. And it operates on the principle of maximum coverage for the minimum cost. Their tagline goes as “buy term insurance and invest in the difference.” While it offers other financial services like mutual funds and annuities, you will need to look elsewhere if you want to have permanent life insurance policies. Primerica basically acts as a broker whose Insurance policies are underwritten by the National Benefit Life Insurance Company which is a subsidiary. And hence, their website offers limited details about the coverage and plans. You can call up their customer service at 800-257-4725 for detailed consultation about your plans. If you want to take up a policy with Primerica, you should keep the following in mind. The independent business owners will be conducting a financial need analysis to help you understand your financial situation in a better manner. Term Life Insurances cannot be converted to a permanent insurance policy. Insurance policies are available in different lengths of terms and featured level premiums. If your policy expires, the renewable policy does not offer level premiums. You will have the following benefits. Increased Death benefit – In this case, the nominee will receive an increased death benefit if the insured person dies by accident. Terminal Illness – The insured person will receive an amount equal to the 70 % of face value to cover up the expenses before he dies. Waiver of Premium Rider – You can also waive off your premium for a set time if you become terminally ill or are unable to work. The company follows an eleven tired multi-level marketing system. As with any other multilevel marketing company, the sales representatives of the company receive a commission for the sales they make by selling insurances and the financial services of the company. The sales agents of the company will be eligible for a commission for selling each and every financial product. In addition to this, a portion of the sales belongs to the representative’s recruiter, that particular recruiter’s recruiter, and so on, up to eleven levels on the top. Sales agents also have an interest in selling the insurance services to their warm market prospects as well. Upon induction into the company, the new recruit will have to write down a list of 100 people they know. This can include their family, friends, neighbors, colleagues etc. they constitute the warm market. The recruits will have to pitch the products to them and try to obtain the sales. 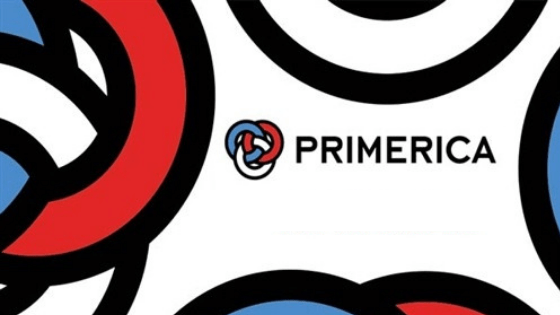 According to the recent information collected from various sources, Primerica has asked its sales representatives to pay a monthly fee of $25. And it is estimated that the company collected revenue of around $2.5 million per month from its own employees itself. Primerica has over 100,000 independent business owners selling the various financial products of the company. On average an individual representative earns around $5,156 per year. In the year 2014, more than 190,000 new sales recruit paid a signup fee for Primerica. But the company only could increase its sales force by just 3,700 that year. And in the same year, each independent business owners managed to make an earning of around $6,030. As of September 2017, Primerica has made claims to be having around 124,436 independent sales representatives under its belt. The verdict – Is the company beneficial for a network marketer? Financial stability – According to the ratings of the most trustworthy agency of the insurance industry, A.M. Best, Primerica holds an A+. Simple – The company offers a single type of insurance scheme. Hence, it is not difficult in making choices among the company’s products. Educational – Primerica’s website offers a wide range of resources about insurance and related financial services. This helps the customers in learning about their personal finance and its management. Quick claims – Primerica is extremely proud of its ability to pay claims as quickly as possible and states on its website that more than 94% of all its claims are Done within two weeks. Possible pyramid scheme – There are a lot of negative reviews about the company on over the internet of being a possible pyramid scheme – But still, the Primerica agents are licensed and trustworthy. So, if you are willing to put in some time and shop around to find the right life insurance policy and rates for your situation, you are well guarded. Strict underwriting – Primerica has very strict rules and regulations compared to other insurance providers. And if you have in poor health or does have any existing pre-condition, it’s better to consult some other insurance firms. You would be better off elsewhere. No permanent policies – Primerica does not allow you to convert your life term policy to a permanent option. But, the one thing that you could do is that you can renew your term policy without another medical exam. And this does not imply that your premiums remain the same. They are likely to increase unless you want to reduce your coverage. If you are looking for term insurance, you can definitely opt for Primerica. It offers great deals for a network marketer in terms of compensation plans and other bonuses. If you are looking for a network marketing software, Try a Free MLM Software Demo to perceive the features and working of the Software and once you have decided Contact Secure MLM! Know in detail about another leading company that provides Cryptocurrency based services to its customer base around the world in the review of Hedger Tech.